How to enable dialogs in your APEX 5 application if they are not already enabled. How to open a dialog. How to close a dialog, returning values from that dialog. How to respond to the closing of a dialog. How to enable dialogs in your APEX 5+ application if they are not already enabled. To check if Dialogs are already usable within your Application, start the Create New Page wizard and see if you can specify a Page Mode value of “Modal Dialog”. If you can then great, you don’t need to complete the steps in this section. If you can’t, follow the steps below to enable the use of Dialogs. NOTE: You won’t need to perform these steps if you’re using the Universal Theme. However, it is not necessary to be using the Universal Theme to use APEX’s native dialogs. Above: If you can select Modal Dialog from the Page Mode select list then you do not need to complete the steps in this section. Firstly, you need a Page Template which will be used as your Default Page Template for Dialogs. Within Application > Shared Components > Templates locate a suitable Page Template which already exists. You want to choose a Page Template which contains none of the components which would not be suitable for a dialog e.g. tabs, nav bar etc..
Make a copy of this Page Template, calling the newly-created copy something like “Dialog Page”. Set the Template Type of this new Page Template to “Dialog Page”. When you try to save the the new Page Template you may see errors such as the following: To rectify these, locate the three fields mentioned and paste in the default values shown for each, as shown below. Navigate to Shared Components > Themes. Open the the current theme for your application. Navigate to “Dialog Defaults” and select your newly-created Page Template from the Dialog Page select list. Click Apply Changes. You should now be able to create new pages specifying their Page Mode as “Modal Dialog” or “Non-Modal Dialog”. You should also be able to modify the Page Mode of existing pages to turn them into dialog pages. There are a couple of ways of opening a dialog page in APEX 5+. The simplest way is to use any of APEX’s built in methods of generating navigation. For example, setting the action of a Region Button to “Redirect to Page in this Application” and choosing a Dialog Page. The first argument passed to APEX_UTIL.prepare _url here is easy: it’s the URL of the dialog page. The second argument, p_triggering_element, is a string representing a jQuery object which will be identified as the Triggering Element which opened the dialog. Note that you must use $(‘#someitemid’) and NOT $(“#someitemid”) (i.e. single quotes instead of double quotes to surround the selector string). // Wrap an tag around the icon which opens the Select Item dialog. a) A Close Dialog Page Process (submit the page to fire this as you would any other Page Process). Where the first parameter (true) indicates whether the dialog is modal or not and the second parameter is an array of items in the dialog whose values should be available in the parent once the dialog has closed. 2) The important concept, regardless of which of the above 3 methods you choose to close your Dialog, is the Items to Return value. This is the correct way to pass back items to the calling/parent page. If you’re only using one level of dialogs (i.e. not a nested dialog) you can do this if you really want to and are happy to ignore the point about reusability of the dialog. However, If you are within a nested dialog (i.e. a dialog opened from another dialog) you’ll have problems with this since parent will refer to the top level page and NOT the parent dialog. Search the John Synders article referenced above for the term “top level” to see why it’s built this way i.e. why all dialogs, nested or otherwise, are created in the parent page. My advice would be NOT to do this in any case. Stick to the principle that the Dialog should not know about its caller. So, great, now we have a means to close a dialog and specify which of the items in the dialog we wish to be available in the parent/calling window. The question then is: How do we get access to those values in the calling/parent window? Again, we have a couple of options. Create a Dynamic action with “Event Dialog Closed” as in the screenshot below. Note that the value for Selection Type is very important. If this is wrong, this will not work. This needs to be the item that triggered the opening of the dialog i.e. the Triggering Element. Again, note that the value of #openDialogIcon is very important. To repeat: This is the element that was indicated as the trigger for the opening of the dialog. Imagine you have a textarea in your app where you want your users to be able to type in large quantities of text, click a button to store this in the database and then later retrieve this large quantity of text and redisplay it in that textarea. You passed “my first custom value” as the value for x01. You passed “mysecond custom value” as the value for x02. You passed “my third custom value” as the value for x03. You can use use x01 through to x10 to pass up to 10 parameters to your application process. What about if you want to pass more than 10 parameters, though? To do this, you first need to create a number of Application Items. 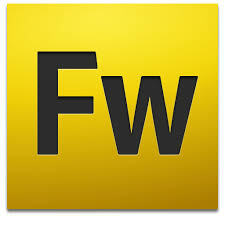 You might like to call them :G_11, :G_12, :G_13 etc..
I’ve had a problem with Adobe Fireworks CS5 ever since upgrading to a Retina Display MacBook. The problem is that the eye-dropper colour picker tool just doesn’t work any more. At all. Very frustrating. 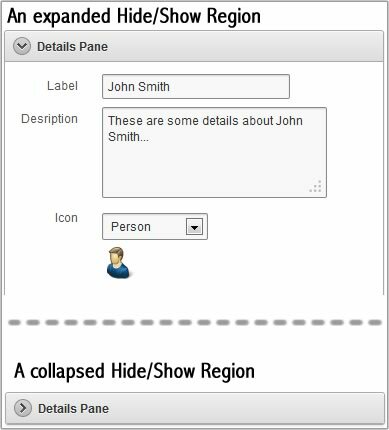 Hide/Show regions are very useful in that they allow users to hide certain on-screen content when it’s not relevant for them (and show it again just as easily) simply by clicking the small arrow icon in the top left of the region. But how can you programmatically do the equivalent of clicking the arrow icons? Perhaps, for example, when a user clicks a particular button on your page, you want all Show/Hide regions to be expanded. How can you do this? One answer is the snippet of code below. In this code, “MY_REGION” is the static ID of the region for which we wish to programatically click the show/hide arrow icon. We can use the snippet below to work out the current status of a Hide/Show region i.e. whether it is currently expanded or collapsed. The below snippet will return a value or “none” if the region is collapsed. We can build on the above to create a function which expands, collapses or toggles the state of a Hide/Show Region. // ** defined by the string pRegionStaticId. // ** region once this function has run. // ** pDoWhat: either "expand", "collapse" or "toggle"